When you look at any 457 visa health insurance policy and the claimable elements you will often see 'MBS' next to the item. 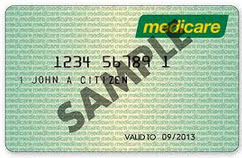 MBS stands for 'Medicare Benefit Schedule' and represents the amount the government would pay for that item if you were on Medicare (the Australian public system). To understand what bulk billing is lets your an example where an Australian goes and see a general practitioner (local doctor) for a general check-up. The Medicare benefit schedule (MBS) may determine that the government is willing to pay $50 for this service and if the doctor then charges $50 for the visit the patient pays nothing (termed bulk billing). The same is true when it comes to 457 visa health insurance. If the doctor charges the same amount as the MBS amount, the health fund (not the government) will either pay the doctor directly or refund you for the total amount charged for the visit. What Is Out Of Pocket Expenses? Due to cost of living pressures in Australia many doctors and medical services over the past decade have increased their charges at a faster rate than the MBS. So going back to the earlier example the same doctor has not decided to charge $60 for the check-up visit but the MBS amount is $37. This would mean that an Australian would need to pay the difference which in this case is $23. The exact same scenario exists for a 457 visa holder who has overseas visitor health insurance. Here the health fund will pay first $37 toward the visit and you will need to pay for the remaining $23. Doctors that charge above the MBS rate has increased exponentially and at different rates so you may find that one doctor may bulk bill, the other may charge $20 out-of-pocket which another one charges $40 more. The key is to ask first before your visit what the costs are. My 457 Visa Health Insurance Policy Has 150% MBS. What is that? Different policies from different 457 visa health funds (or even within the same fund) may have different MBS rates for the same procedures. So for this 457 visa fund they will only pay the MBS rate if you choose their cheaper policy whereas they will pay up to 50% over the standard Medicare benefit scheduled price. – Pay $0 to see the specialist if you had workers cover plus (with your health policy paying the full amount). So in this example, if you had Mid or Top health cover with IMAN, you would be covered for the full amount no matter how much the GP charged above the MBS for the visit/treatment. So will I be covered for any medical service? The simple answer is no. You will only be covered for services listed under the Medicare benefit scheme. An example of a procedure for example that is not covered under the MBS is cosmetic surgery such as liposuction. Some premium policies may list other services that they cover outside of the MBS but generally this is rare. There are also waiting limits for some MBS services/treatments. For example, with all 457 visa health insurance policies pregnancy and birth-rated services have a 12 month waiting period. 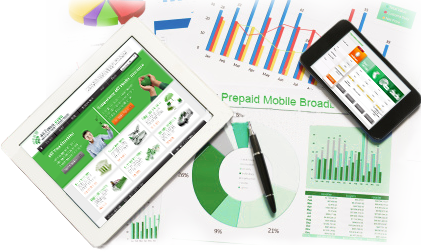 This means that within the first 12 months policy period you can’t claim on these services. The same is true for pre-existing conditions such as a problem hip you may have. You can only start claiming on such issues after a year. You will need to complete a pre-existing conditions check after you join an Australian health fund. What 457 visa health cover policy is right for me? The simple answer to this is to balance the price of the 457 visa health insurance policy with the benefits of the services you think you may claim over the next 12 months. So for example, if you normally visit your GP a few times a year and are quite sporty increasing your injury risk factors, you should consider a mid to top cover. This way you will get back most of your costs each time you see your GP and if you do get injured from your sport (or due to an accident) you have a minimal amount out-of-pocket. 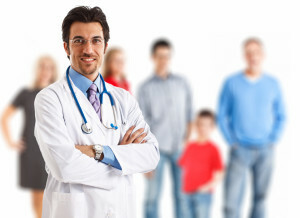 If your young, fit, rarely see a doctor and don’t do any higher risk activities you may look to just purchase a basic cover that meets your condition 8501 requirement to have ‘adequate health insurance’ while staying in Australia. 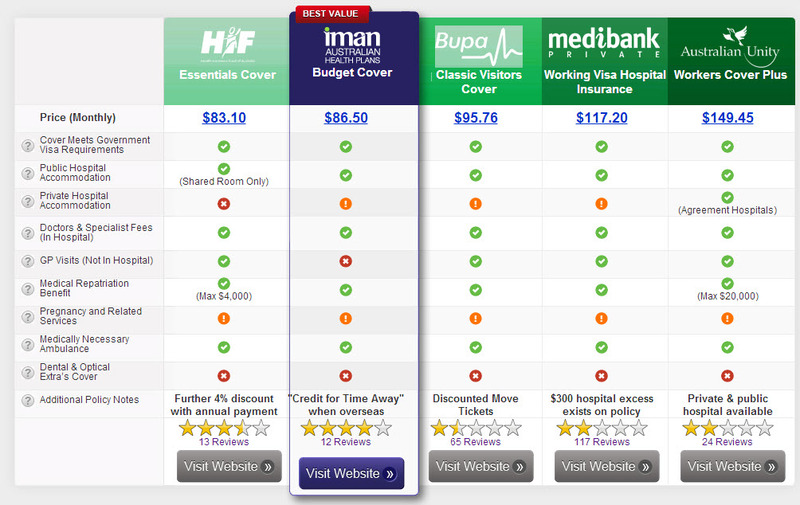 Click on the picture (comparison 457 visa health cover table) to start comparing policies. Overall, understand the 457 visa health insurance policies you are comparing and when you then commence the policy you choose understand what you are and are not covered when you need a medical service.